Cell-based therapies have gained significant attention in the overall biopharmaceutical industry. The personalized nature of these treatment options render them highly specific and, according to a number of clinical studies, safe and efficacious. Such therapies are considered to possess the potential to address various unmet medical needs associated with the treatment of several types of physiological disorders and clinical conditions. A number of pharmaceutical companies and investors have already invested significant capital towards the development and commercialization of such products. Around 20 such therapies have been approved; recent approvals include Alofisel® (2018), YESCARTA® (2017) and Kymriah® (2017). It is also worth highlighting that over 500 cell-based therapy candidates are in different stages of clinical development, and are being evaluated in more than 1,000 active clinical studies across various regions of the globe. The growing number of cell therapy candidates, coupled to their rapid progression through various phases of clinical development, continues to create an increasing demand for facilities that offer manufacturing services for these complex therapies. There is a wide array of industry players, including well-established companies, mid-sized firms and start-ups, as well as academic institutes that are significantly contributing to the production of GMP grade cell therapies. In addition, several players offer novel technology solutions, aimed at improving and upgrading existing cell-based therapies and their manufacturing processes. Most of these players have signed multiple partnerships / collaborations with an aim to optimize, scale-up and expand the capabilities for the production of cell-based therapies. Additionally, stakeholders have received significant support from governments worldwide, in terms of funding and establishment of consortiums, to accelerate the transition of these therapies from laboratories to clinics. Looking at the evolutionary trend so far, we believe that the cell therapy manufacturing market is poised to steadily grow, driven by a robust pipeline of therapy candidates and technological advances aimed at mitigating challenges posed by the conventional methods of production. A review of the current status of the market with respect to key players, along with information on the location of their manufacturing facilities, scale of production, type of cells manufactured (immune cells (such as T cells, dendritic cells, NK cells), stem cells (such as adult stem cells, human embryonic stem cells and induced pluripotent stem cells) and others), purpose of production (fulfilling in-house requirements / as a contract service provider), type of organization (industry / non-industry), source of cell-based therapies (autologous / allogeneic), cGMP regulatory compliance, and availability of fill / finish services for cell-based therapies. A discussion on roadmaps published by different agencies across the globe to provide strategies to advance cell therapy manufacturing. Elaborate profiles of key players (industry and non-industry) that offer contract manufacturing services for cell-based therapies; each profile presents an overview of the company, information on its manufacturing facilities, and recent collaborations. A discussion on the role of non-profit organizations that have aided in the advancement of cell-based therapies, as well as manufacturing processes. Detailed information on the role of automation technologies in improving current manufacturing methods, along with a qualitive comparative analysis of cost differences between manual and automated processes. An analysis of the recent collaborations (signed since 2014) focused on the manufacturing of cell-based therapies; the analysis is based on various parameters, such as the year in which the agreement was signed, type of agreement, and scale of operation (clinical and / or commercial). An estimate of the overall installed capacity for manufacturing cell-based therapies of various organizations, based on information reported by industry stakeholders in the public domain (wherever available) and affiliated data collated via both secondary and primary research. The analysis highlights the distribution of the global capacity of industry and non-industry players on the basis of scale of operation (clinical and commercial), regions (North America, EU and Asia Pacific) and size of the organization (small-sized, mid-sized and large-sized organizations). An analysis of the various factors that are likely to influence the pricing of cell-based therapies, featuring different models / approaches that may be adopted by manufacturers to decide the prices of these therapies. An in-depth analysis of the cell-based therapy manufacturers, featuring three schematic representations; these include [A] a three dimensional grid analysis, representing the distribution of cell-based therapy manufacturers on the basis of the type of cells manufactured, scale of operation and purpose of production (in-house operations / contract manufacturing services), [B] a logo landscapes of cell therapy manufacturers based on the type of cells manufactured, geographical location (North America, EU and Asia Pacific) and the type / size of organization (non-industry players, and small-sized, mid-sized and large companies), and [C] a schematic world map representation, highlighting the geographical locations of cell therapy manufacturing facilities of industry and non-industry stakeholders. A discussion on affiliated trends, key drivers and challenges, which are likely to impact the industry’s evolution, under a comprehensive SWOT framework. It also includes a Harvey ball analysis, highlighting the relative effect of each SWOT parameter on the overall market. A survey analysis featuring inputs solicited from various experts who are directly / indirectly involved in development and / or manufacturing of cell-based therapies. One of the key objectives of the report was to understand the primary growth drivers and estimate the future size of the market. Based on parameters, such as increase in number of clinical studies, target patient population, anticipated adoption of cell-based therapies and expected variation in manufacturing costs, we have provided an informed estimate of the likely evolution of the market in the short to mid-term and mid to long term, for the period 2018-2030. In addition, to account for the uncertainties associated with the manufacturing of cell-based therapies and to add robustness to our model, we have provided three forecast scenarios, portraying the conservative, base and optimistic tracks of the market’s evolution. Chapter 2 is an executive summary of the insights captured in our research. The summary offers a high-level view on the likely evolution of the cell-based therapy manufacturing market in the short to mid-term, and long term. Chapter 3 provides a general introduction to the cell-based therapies and ATMPs. It includes a detailed discussion on the manufacturing process of cell-based therapies, associated challenges, and applications of currently available cell therapies. 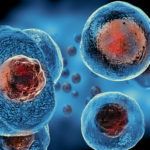 It also provides information on the manufacturing models (centralized and decentralized) that are being considered for the production of cell-based therapies, along with a discussion on their advantages and disadvantages. Further, it provides details on the scalability of these cell-based therapies. The chapter also includes a brief overview on the role of automation and supply chain management with respect to cell-based therapies. Chapter 4 featuresa list ofall the contract service providers / in-house manufacturers that are actively involved in the manufacturing of cell-based therapies. It provides information on the type of organizations and the geographic location of their facilities, and details on their cell-based therapy manufacturing capabilities, specifically focusing on scale of operation, type of cells manufactured, purpose of manufacturing (in-house requirement / contract manufacturing), source of cells (autologous / allogeneic) and availability of fill / finish services. Chapter 5 provides a detailed description on the regulatory landscape related to cell therapies across various geographies, such as the US, Europe and other regions. Further, it presents an analysis of the manufacturing facilities on basis of the certifications awarded (for manufacturing cell-based therapies) to individual sites by various regulatory bodies across the globe. Chapter 6 describes the strategies that are likely to be adopted to accelerate the translation of cell-based therapies from laboratory to clinics.It provides details on roadmaps published by different organizations in various geographies, specifically in the US. Chapter 7 discusses the role of automation technologies that are likely to optimize the current manufacturing practices with the use of closed and single use systems. Further, it features a roadmap that provides information on the steps to develop automation devices. It also presents a qualitive analysis of the cost incurred while manufacturing cell-based therapies using manual versus automated manufacturing approaches. In addition, it features a list of organizations that offer automated technologies for manufacturing operations or provide services to therapy developers to automate their production processes. Chapter 8 offers detailed profiles of industry players that offer contract manufacturing services at the clinical and / or commercial scales. Each profile provides a brief overview of the company, details on its manufacturing capabilities and facilities, and the relevant collaborations that have been inked over the last few years. Chapter 9 offers profiles of the non-industry players that offer contract manufacturing services for cell therapies. Each profile provides a brief overview of the organization, and details on manufacturing capabilities and facilities. Chapter 10 discusses the role of non-profit organizations in this domain. It provides a list of organizations that are actively involved in the development and production of cell-based therapies, across different global regions. Further, it includes profiles of organizations that provide financial and / or technological support to cell therapy manufacturers and developers. Additionally, the chapter provides information on various international / national societies that help in disseminating knowledge about the advancement of these therapies to the general community. Chapter 11 features an elaborate analysis and discussion of the various collaborations and partnerships that have been inked amongst players in this market. It includes a brief description on the various types of partnership models (which include manufacturing agreements, technology upgrade and manufacturing process development and testing agreements, additional services agreements, joint ventures and acquisitions) that are employed by stakeholders in this domain, and analysis on the trend of partnerships inked since 2014. It also consists of a schematic representation showcasing the players that have established the maximum number of alliances related to the manufacturing of cell-based therapies. Furthermore, we have provided a world map representation of all the deals inked in this field, highlighting those that have been established within and across different continents. Chapter 12 features a comprehensive analysis of the overall installed capacity of cell-based therapy manufacturers. The analysis is based on meticulous data collection of reported capacities, via both secondary and primary research, of various small-sized, mid-sized and large-sized companies, and non-industry players distributed across their respective facilities. The results of this analysis were used to establish an informed opinion on the cell-based therapy production capabilities of organizations across different types of organization (industry and non-industry), scale of operation (clinical and commercial), geographies (North America, EU, Asia Pacific and the rest of the world) and size of the organization (small-sized, mid-sized and large-sized organizations). Chapter 13 highlights our views on the various factors, including manufacturing costs, that may be taken into consideration while pricing cell-based therapies. It features discussions on different pricing models / approaches, which a manufacturer may choose to adopt to decide the price of its proprietary products. Chapter 14 presents a comprehensive market forecast analysis, highlighting the likely growth of the cell therapy manufacturing market till the year 2030. We have segregated the opportunity by scale of operation (clinical and commercial), type of cell therapy (T-cell immunotherapies, dendritic cell-based therapies, stem cell therapies and other ATMPs), source of cells (autologous and allogeneic) and geography (North America, EU and Asia Pacific). Chapter 15 presents a collection of key insights derived from the study. It includes a grid analysis, highlighting the distribution of cell-based therapy manufacturers on the basis of type of cells manufactured, scale of production and purpose of manufacturing (fulfilling in-house requirement / contract service provider). In addition, it consists of two logo landscapes, representing the distribution of cell-based therapy manufacturers based on the type of cells manufactured (immune cells and stem cells), geographical regions (North America, EU and Asia Pacific) and the type / size of organization (non-industry, small-sized, mid-sized and large companies). The chapter also consists of two schematic world map representations to highlight the locations of various cell-based therapy manufacturing facilities across different continents. Chapter 16 provides a detailed analysis capturing the key parameters and trends that are likely to influence the future of cell therapy manufacturing, under a comprehensive SWOT framework. Chapter 17 summarizes the entire report. It presents a list of key takeaways and offers our independent opinion on the current market scenario and evolutionary trends that are likely to determine the future of this segment of the industry. Chapter 18 presents insights from the survey conducted for this study. We invited over 100 stakeholders involved in the development and / or manufacturing of different types of cell therapies. The participants, who were primarily Director / CXO level representatives of their respective companies, helped us develop a deeper understanding on the nature of their services and the associated commercial potential. Chapter 20 is an appendix, which provides tabulated data and numbers for all the figures in the report. The following companies and organizations have been mentioned in the report.